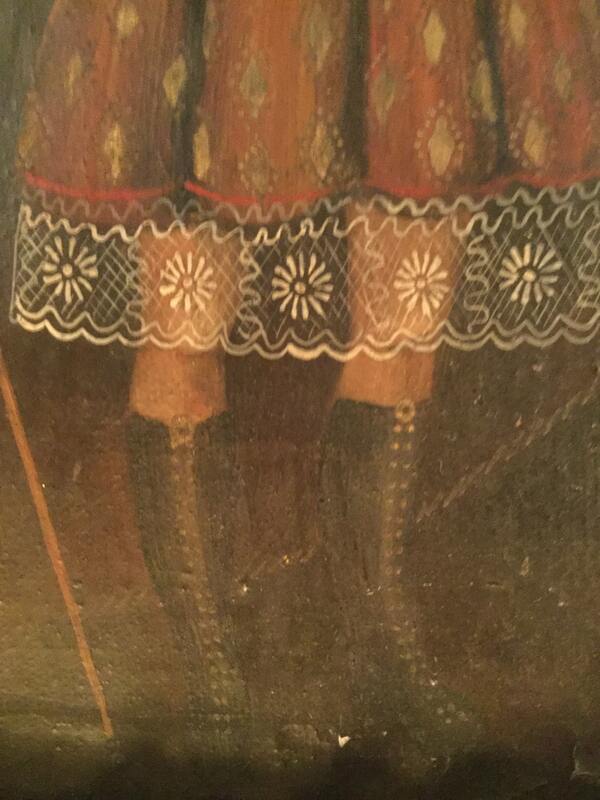 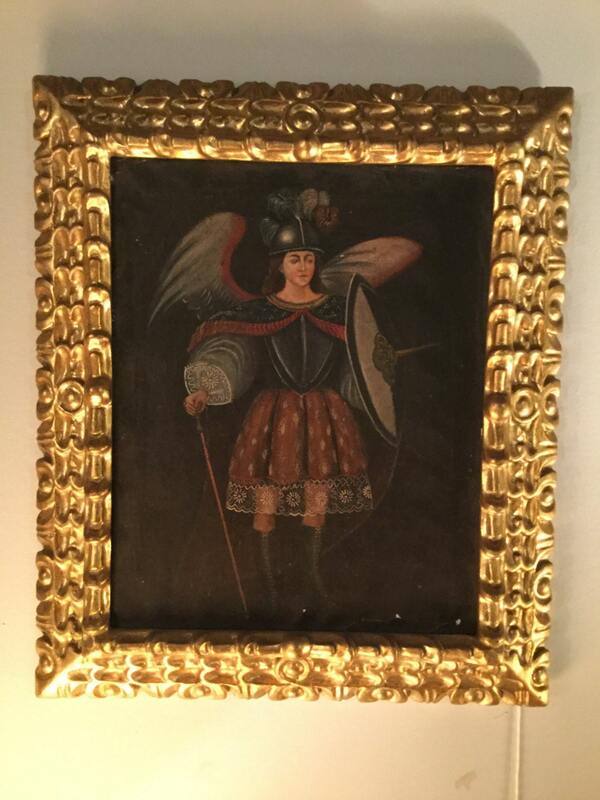 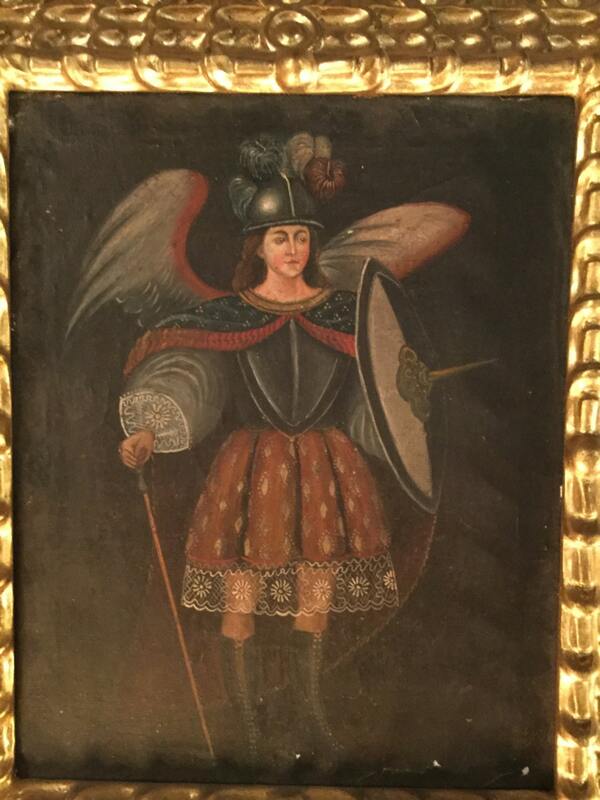 A small painting of guardian Angel St. Michael, perhaps Mexican, unknown artist. 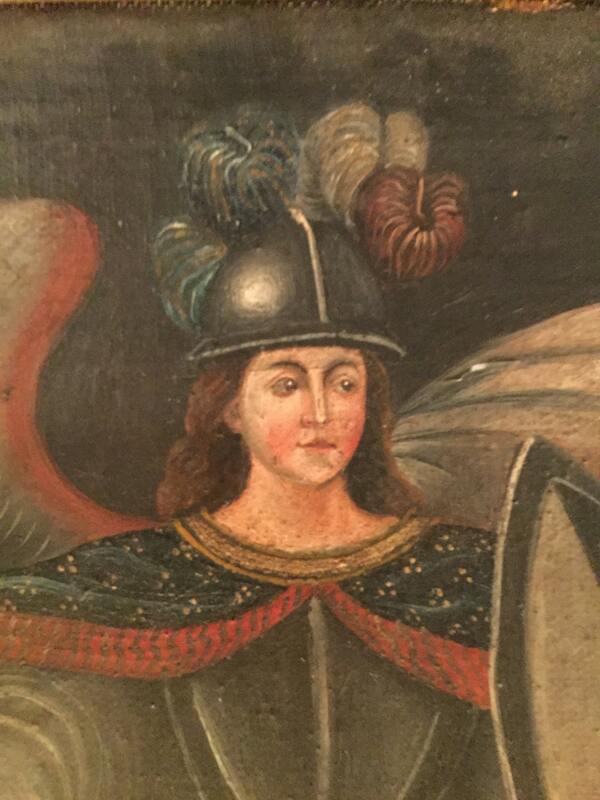 Some small wear on paint consistent with age. 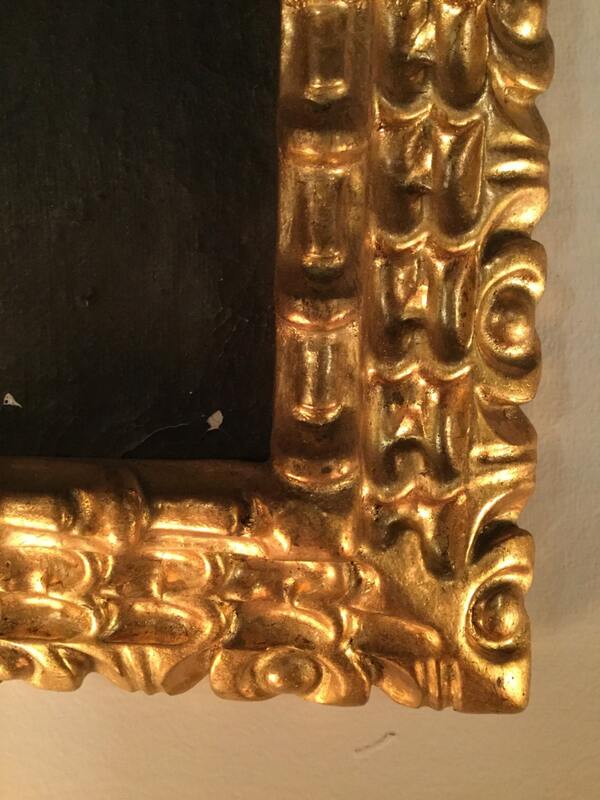 Gold guilded wooden frame.